Is it just me or is this Michael Jackson thing all over the place and over the top?? Am I too young (25) to get the whole phenomenon? I love his music but I wasn't surprised to hear him dead, I was moreso with Steve Irwin. Hmmmmm what do others think?? Yeah I agree Karl. He was an icon for the music he created and the performances he gave. It would be nice if he could be solely remembered for that, but in the end he just went Wacko. Realitly went out the door when he created his own world. I remember the first time I saw Michael Jackson back in the sixties, I just couldn't believe this little pocket dynamo singing ABC. I was mesmerised by his vitality, voice and dancing and I never tired of watching him. He just oozed charisma and was a genius of his time. 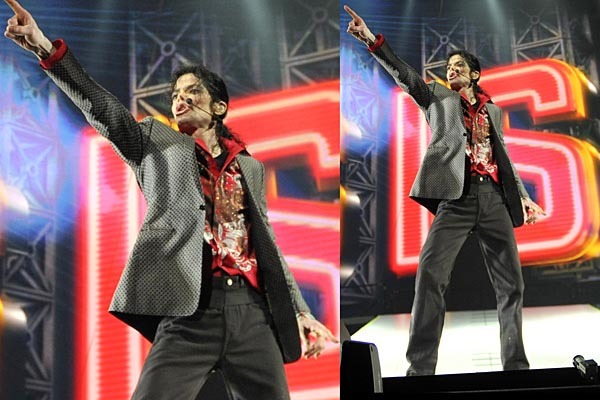 You could describe Michael Jackson in one word, complicated. He was a victim of his own superstardom. After his huge success with Thriller when he sold the most albums in history he then picked up the Pepsi contract where he got the biggest paycheck in history for doing a series of commercials. This led to his hair catching on fire while filming one of the commericials and from then on it was rumoured it led to his dependence on painkillers and then his downward spiral. yes I have always wondered if things would have been different if his hair didnt catch fire during that Pepsi ad. He may not have needed painkillers. Wonder if the painkillers could have affected his mind just a bit. Mind you, Michael Jackson was to us growing up in the 80's like Elvis was to those growing up in the 60's. And no, I am not comparing the two, just saying the grief that many felt when Elvis died is similar to what some people are feeling with MJ's death. I never really understood why people reacted that way when Elvis died, but I sorta understand now. Some people are saying we shouldn't be praising this man that led such an unusual and 'weird' life. But hey, aren't all artistic geniuses (genii? ), just a little unstable anyway? His funeral is being televised live tomorrow morning from 3am but Ch9 are going for uninterrupted coverage from 11pm tonight! 6hrs of this!!! Amazing! Was it the same for Diana when she passed? I can remember the funeral but not the length of coverage. the diana death/funeral was much more dramatic because it was such a surprise and she had no enemies. She was buried on my 21st birthday and i remember how solemn an occasion that was. No-one on the roads, everybody glued to the tV. Whilst i respected Jacko as an artist and performer, his death hasnt shaken me the way dianas did for some reason. Hopefully he will be remembered for the creative genius in music and dance that he was. 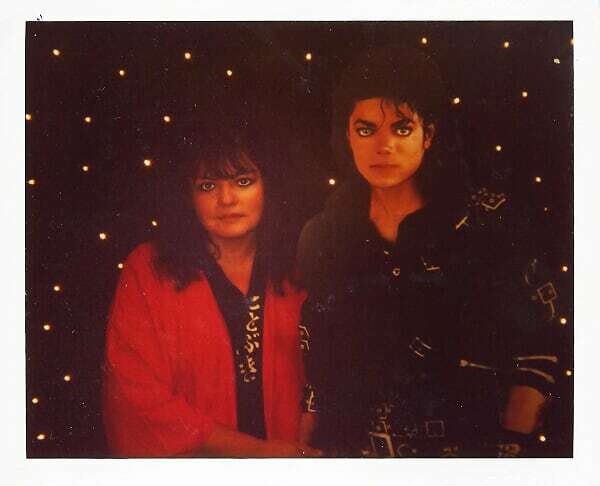 The closest I ever got to Michael Jackson - a cardboard cutout - taken in the mid 80s. When watching the service, one thing that struck me was the 'normalcy' of it all. Just felt like any family grieving the loss of a son, father, brother, friend. While the Jackson family are celebs, there were lots of celebs i the audience and on stage, it just didn't feel like a celeb funeral to me (well whatever a celeb funeral is, I have never been to one). And then when Paris cried at the end, made me feel sad for those kids, I hope they will be able to grow up the way they want to. Yet another late, late night for me too, specially after Wimbledon. Got to bed at 6am. Yes it was a beautiful service Tony, very moving. I think they did Michael proud, you can see the family didn't want to go over the top and make it into a circus and in doing so they had a very classy, family orientated memorial. Not only was he a gifted singer/songwriter/dancer but he was a great philanthropist who is in the Guiness book of records for donating to a record number of charities. He seems to have broken a few records, not only in music. The two eldest children aren't Michael's biological children and I don't think Blanket is either even tho he has a different mother. I guess it was very important to him to be a father no matter who the parents were. I really feel for the children. Very heart wrenching moment with Paris at the end. The end of an era, at last he is at peace. To this day, 'Thriller' has remained one of my favourite albums, and the video to the song is absolutely legendary. Yes, many hours spent prancing around the family room attempting to emulate all the moves! A brilliant piece of choreography! 'Don't Stop 'till You Get Enough', 'Rock With You' and 'Can You Feel It?' still get me racing to the dance floor these days. He will be missed, but his music will live in my heart (and my feet) forever. He was a musical genius and a very gifted performer/entertainer. Beautiful sentiments Ice Storm. The words you posted from Will you be there? Hold me are even more poignant now especially with the ending where the angel gathers him in her arms. The service was very well done, I thought. Not too over the top, rather a tasteful celebration of his life. I really hope the custody issue is worked out quickly for the children's sake.